With an episode title like “The Flash Reborn,” there was a certain level expectation that Flash’s season 4 premiere would try to steady itself and right the wrongs of a very uneven third season. In someways, it succeeded—but it did so by returning to some of the indulgences that have helped Flash lose its way lately. If you can cast your mind back the ancient time of a few months ago, you’ll remember season 3 of God Dammit, Barry Allen came to a close when an out-of-nowhere contrivance saw our beloved idiot of a hero force himself into exile in the Speedforce to save Central City from a sudden case of cliffhangeritis. If I could caption this picture with a sound, it would be the Price is Right losers horn. Oh wait, I can! It was dumb, and emblematic of some of the worst problems The Flash had developed over its third season, sacrificing the lessons its characters had learned and the arcs they’d grown on for the sake of some cheap drama. In my closing thoughts on the season I hoped—not with the highest of hopes, but hoped nonetheless—that The Flash wouldn’t resolve this cliffhanger almost immediately and make it feel as cheap and unearned as it appeared to be. Folks, The Flash resolved this cliffhanger almost immediately and made it feel as cheap and unearned as it appeared to be. And annoyingly, it only did so after showing us a ton of promising moments with the scenario the cliffhanger left us with: what is Team Flash like when it loses its titular speedster? 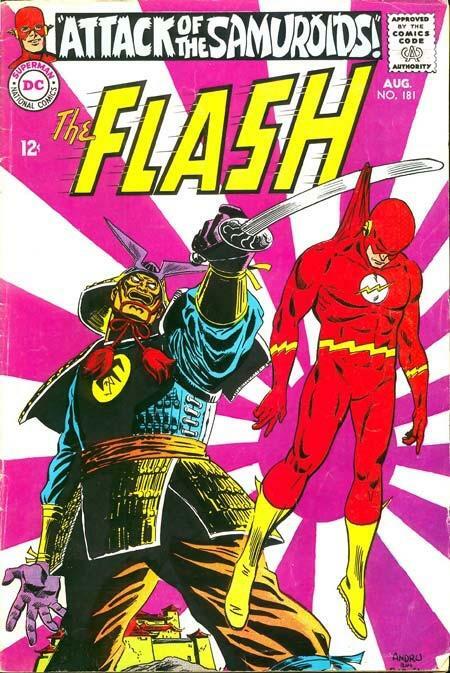 The answer to that question is actually, a lot like early Team Flash was—pretty fun! In “The Flash Reborn,” six months had passed since Barry’s cliffhangerpalooza, and the remaining members of the crew (well, aside from those who got unceremoniously dumped from the show, sorry Julian!) rallied around each other to form a unit that was great fun to see in action. Cisco and Wally, now working together as Vibe and Totally-the-Current-And-Remaining-Flash-For-The-Foreseeable-Future-What-Could-Possibly-Change-This, had wonderful banter together that reminded me of Cisco and Barry’s banter when The Flash was first finding its footing back in the first season. Iris, now firmly rooted into the team as its behind-the-scenes leader, actually got to do something that didn’t involve being the damsel the team had to protect from the big bad of the season, and Candice Patton clearly has a lot of fun getting to engage with the rest of the cast like this. Caitlin, meanwhile, has left Star Labs to get in touch with her rebellious, ice-y murderer side by becoming a bartender, and although she’s quickly roped back into the shenanigans of Team Flash, giving the character a bit more of an edge from her time as Killer Frost—which gave us Danielle Panabaker unleashing a delightfully vampy performance last season. It’s much more promising than the lovesick arcs she’s been stuck in with Julian and Jay in the past. We even get to see Wally tackling some of the expectations suddenly thrust upon him as the new Flash, and what it means to wear a mantle you had no intention of having to take up so soon. That last bit lasted for like, maybe a good 20 minutes of the episode, until Barry—sporting a teenager’s first attempt at facial hair—made his return from the Speedforce slightly more bonkers than he left us, leading to everyone dropping everything to focus on him. 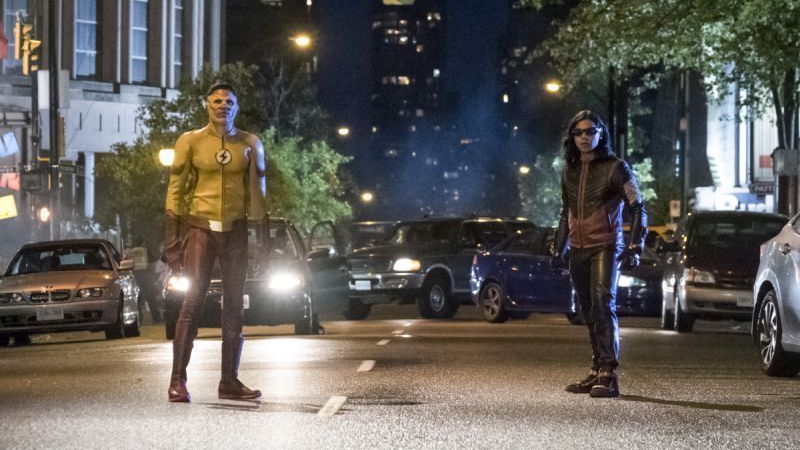 Aside from the indignity of managing to raise Wally up and immediately kick him into the curb in not just one season premiere, but two in a row, Barry’s almost immediate return to the show is reflective of the tons of problems The Flash faced last season—mostly, that the show is willing to drop everything if it means giving Barry a chance to say he’s learned his lessons with little in the way of consequence to show for it. Sure, expecting The Flash not to bring back its lead star would have been a fool’s errand, but it’s equally foolish for it to have only kept up the pretense for such an insultingly brief time. If the show is going to immediately jolt itself back into its usual status quo so rapidly, what even was the point of season 3's cliffhanger in the first place? It’s a cheap trick, and one The Flash has leaned on too much lately... but the benefit of its frustrating appearance here is that maybe now that the show has rushed itself into setting all its pieces back together, it can move forward and bring a focus onto what made the rest of this premiere so promising, with stronger roles for its supporting cast and an emphasis on the zany, comic-book-y fun—I’ve not made mention here of the fact the team faced a goddamn Samuroid robot from the comics elsewhere in the episode, which is the exact sort of gleeful nonsense The Flash should continue to embrace—that made its first season such a gem. Right now with its slate (relatively) clean again, The Flash finds itself at a crossroads for two paths it could speed down: a return to the tone and style of the show’s early days, or one where none of the lessons of season 3 have been learned. Much of “The Flash Reborn” laid the groundwork for a journey down that former path—but the way it chose to resolve the scenario season 3 laid out in its finale doesn’t have me quite convinced that a trip down the latter path is still out of the question.